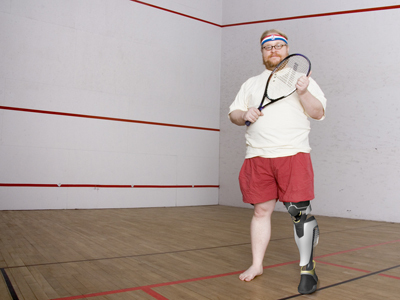 The idea of new prosthetic started from people’s perception of prosthetic legs; both the amputees and “spectators: which is a sad reality but true”. 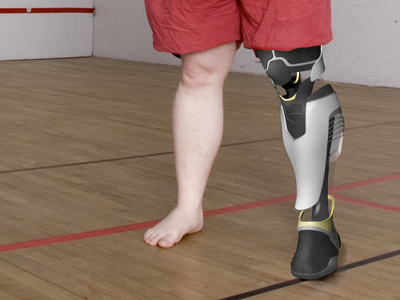 Prosthetic has been developed based on the understanding of body anatomy and movement, but since it neglects the lifestyle, satisfaction, or personality of the amputee, this vital device for human activity still remains in a stage of “a landing gear”, or sometimes C3PO or Robo-cop. 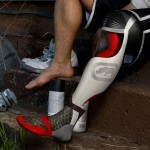 The social acceptance is based on how much the prosthetic resembles human leg, but there hasn’t been any active movement to bring prosthetic leg from a utilitarian gear to a highly fashionable accessory that reflects the amputee’s taste, possibly a prosthetic that he/she want to show off, and don’t have to bear with people looking at them pathetically anymore. 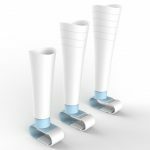 The demand of prosthetic leg could go higher due to accidents, wars, and mostly, aggressive increase of type 2 Child diabetes, which is unfortunate but opens more possibilities to enable personalized mass manufacturing. 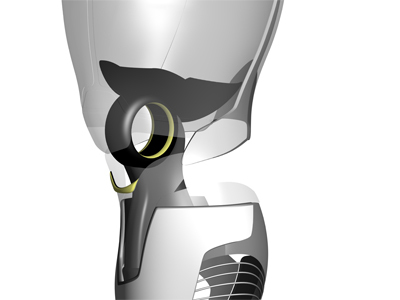 Therefore, this prosthetic concept is designed around the 3D scanned data of the real person’s leg; Once the real leg is scanned, the data can be modified according to the condition of the limb, which makes the prosthetic “my leg”.Tag Heuer, co-brand company of this prosthetic design which has sporty, bold but elegant high-end products, has a long history of preciseness and accuracy, and has been a great sponsor for various sports activities. The design follows how we see a watch; usually hidden behind the sleeves but reveals and shines occasionally when he/she moves. This prosthetic Tag Heuer’s bold taste, but still hides the complex detail mechanism. 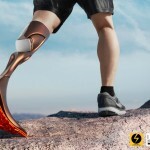 This entry was posted in Gadgets, Life Science and Medical, Prosthetics. Tagged as fake leg, Prosthetics, tag heuer prosthetic leg. I am a double leg amputee in the USA – AK/Knee Disartic – and I don't give a monkey's about the fashion bit. I want functiuon and I am quite proud of the metal (and carbon fiber) bits. Looking at the design, it appears that trouser legs would get caught on the non-functional device that fakes a shin. 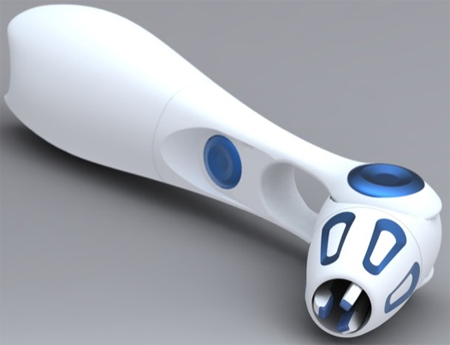 I want a) function b) comfort and c) no REPEAT no batteries. Fashion is irrelevant. mate.I've just started scanning the net trying to get some descent info on legs .I lost both my legs below the knee and the ones they gave me from the hospital just never fit right. Hi Iam a right through knee amputee 17yrs and would like to know and see more. I am a right leg amputee above the knee from Vancouver Canada. I'm really impressed with your Tag Heuer Leg by "Koo Ho Shin." Could you please send me more info, photos and approx.price if avalible. I'm sure that my stepson who was born with no leg and a not so great other leg would most relate with the comment from Hugh Elliot who is far more concerned about function and comfort than style. mark has been trying to adapt to a very expensive 6 month old new knee that does not provide the flexibility that he needs to walk without tripping.Because his socket is so tiny his good side is bearing the brunt when he has to swing his prosthetic leg forward.After 30 years of walking this way his whole leg is suffering. Any suggestions from the maker of the Tag Heur leg? Hello my friend has cancer in his pelvic area. In the bone where the leg connects to hip.His right leg is going to be removed completely. 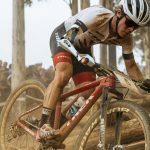 Are there any adjustments that can be made to fit right? 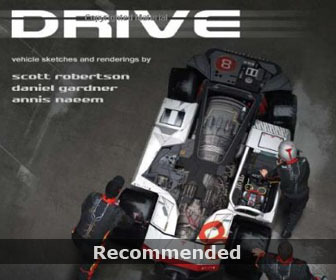 Or are there any specific qualifications or something needed to be able to use this? 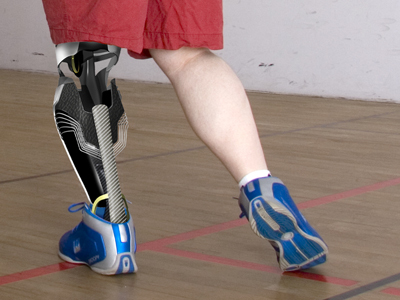 I am looking for BELOW the KNEE prosthetic, looks and performance, any suggestion and help is appreciated, I have no idea how & where to start. Hi, I’m going through the same, I’m a left below the knee amputee. My Easter Sukd really bad this year😢 If you have any help or advice I would greatly appreciate it very much. Im would like to live an active life can this designer prosthetic deliever the functionally that Im looking for as an athlete ? And whats is the cost ? 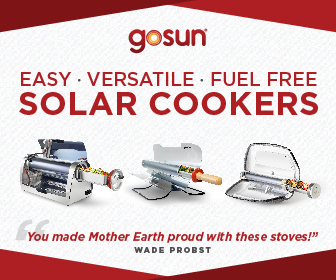 Hey I am interested in getting one please send a email about how to do so in dire need. I am a through the knee amputee (left leg) I wear the C-Leg and LOVE it! Only been doing this for 3 years this summer, but already up to 2 and 1/2 miles on treadmill (aiming for 5), swim, hike, trampoline – anything I want to do. Praise God for technology! I read your e-mail. Please sent an e-mail to me iabout your situation. Are you in Canada? Are you above or below knee amputee? Left foot or right? I think that modern prosthetic are a very inefficient about all they can do is bend on pressure that on the food and then breaks the knee so its very limited on what you can do with it… so what I'm wondering is with all are so called modern technology why can you tack the idea of what there doing with prosthetic arms http://www.dekaresearch.com/deka_arm.shtml and use the technology to make prosthetic knee bend on though and not on pressure that wood change everything in my opinion… The leg code possibly fit anyone lifestyle..
hi, im 26 and i am waiting for my opperation for a below the knee amputation. 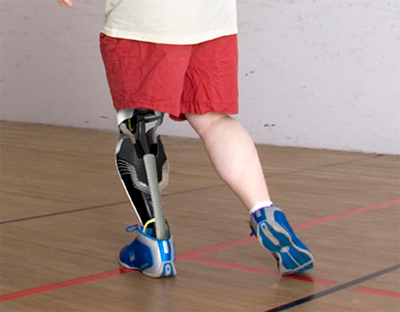 I keep hearing alot of bad reviews about the artificial limbs supplied by the NHS, regarding poor fitting? have you had this trouble?? please can you send me some more info regarding the Tag Heur leg please! Any infomation will be greatly appreciated. thank you. Im a double leg amputee base in Nigeria,presently im using one now, but not that comfortable with it,how do i get a better prosthesis that i can sleep with it if i want to?And moreso what is the cost? Im arnold tano from philippines,26 yrs old….im a right leg amputee….and already desperate and loosing hope if there is any any remedy for my right leg…and i hope your company will sponsor my artificial leg…i am willing to serve as a model…..
hi Arnold, try mo sa PGH or orthopedic hospital sa quezon city, look for MAHAVEER FOOT or MAHAVEER FOUNDATION, nagbibigay sila ng prosthetic leg. my brother in law had his lleft leg amputeed above the knee. How can he obtain a prosthetic leg at a reasonable price as he lives from a grant from the Goverment? God bless. is any centre in delhi(india)?? why you're so long to reply to the needs of your client….. they already need what their asking…….please reply them immediately … thanks…. Hi, I am geeta, can ask for help… to have artificial prostetic leg & also a donor pls. i woluld like to ask anyone to please help me provide my husband's new prosthetics, he had his own but not fit enough to his leg (right, below the knee), seems he's not comfortable now bcoz of some adjustments/ development on his leg also its about to be broken, been using it for almost 10yrs now. Hello, I am a through the knee amputee (left leg), I’m 26, I want the C-Leg. I need information on how I can get it and what the cost would be. Please, send the necessary info. Thanks and God bless. Hi Im Ave from Philippines, son of the a diabetic patient and already been operated his lpwer left leg and I am asking for your help to let my father experience again of having his leg we dont have enough money to buy a protheses for him and I want him to be happy again, looking him everyday wearing a smile that we will always think of the brigther side of his life..please help me to find a sponsor for prosthese for him.. I am Shindol Aaron from Plateau State Nigeria, a below the knee amputee of right leg. 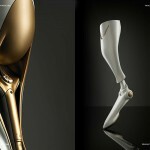 I will indeed appreciate help that would enable me have one of your wonderful prosthesis to help one keep hope a live.